Back again for our 4th year, this time with 100% more bees! Wait, I was just joking, I meant less bees! Sorry, wrong answer! I meant No Bees! No Bees! * Come back! Don't you dare click the "back" button! Leave. I'll be alright. There'll be someone out there who will appreciate bad bee jokes. Seinfeld made a movie about bees, you know? But it never did get a lot of buzz. If you are still reading... you've passed the first test. The River & Trails & Ales hopes to provide a casual atmosphere and a challenging and fun trail run for all levels. - First 60 registrants get a custom enamel mug! 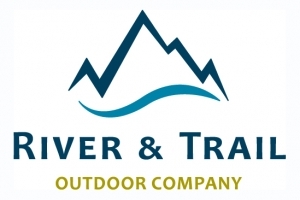 - Prizes and race swag by River & Trail Outdoor Company. - Post race festivities will be at the Saint John Ale House with a complimentary beer from Hammond River Brewing. - All proceeds will go to the Greater Saint John Community Food Basket. - Present your race bib at Hammond River Brewing by Sep 30 and you get $1 off one of their signature brews. *There may be bees. I mean, I can't control where they go, they have wings and all. Except for underwater, I guess. Bees can't swim. Oh my gosh! Could you imagine if bees can swim? Would they be scarier than sharks? I bet their honey would be salty.